In our current cultural climate, the Christian family faces opposition on every front. We approach all of our ministry to the family with our hope firmly in the gospel of Jesus Christ. As a self-consciously gospel-centered church, we maintain that the Christian family is the chief place for Biblical application. Whenever possible, we seek to minister to our families in ways that seek to build up the whole family. That is not to say that there are never times for particular age groups to be challenged by God’s Word as it applies to their particular station in life, but as a general philosophy, we seek to encourage our families to learn together, worship together, and serve together. Children are a blessing from the Lord. Our desire is to help to promote well equipped Christian homes to provide confident discipleship to their children. 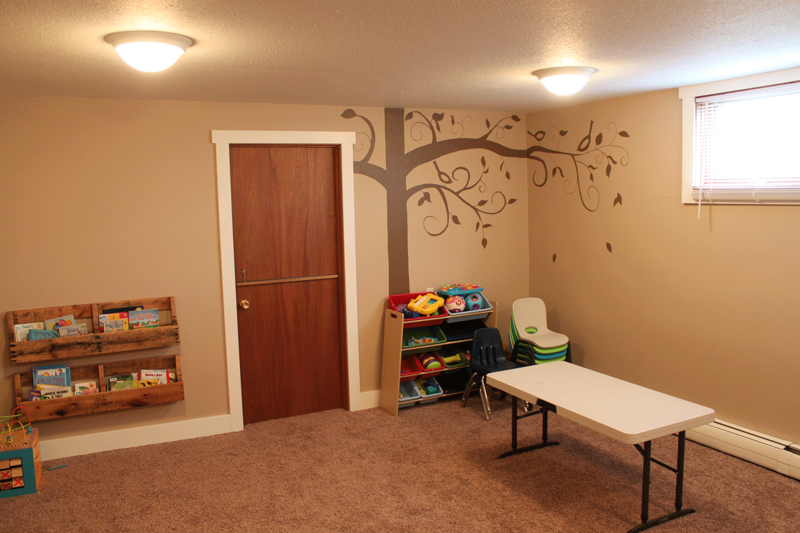 Our programs are designed to strengthen relational ties between parents and children, foster genuine Christian growth, and to reinforce the role of the home in the life of the Church..
Our nursery is designed for children from infants to 4 years old. In this structured environment, our trained staff serves young families by helping to prepare their children to become active participants in the worship service. Your children will enjoy singing familiar songs, be encouraged to honor God’s Word and learn from it, and to celebrate the gospel of Jesus Christ in ways that are appropriate for their age.